This was my first time being on a podcast, and wow, what a pleasure! 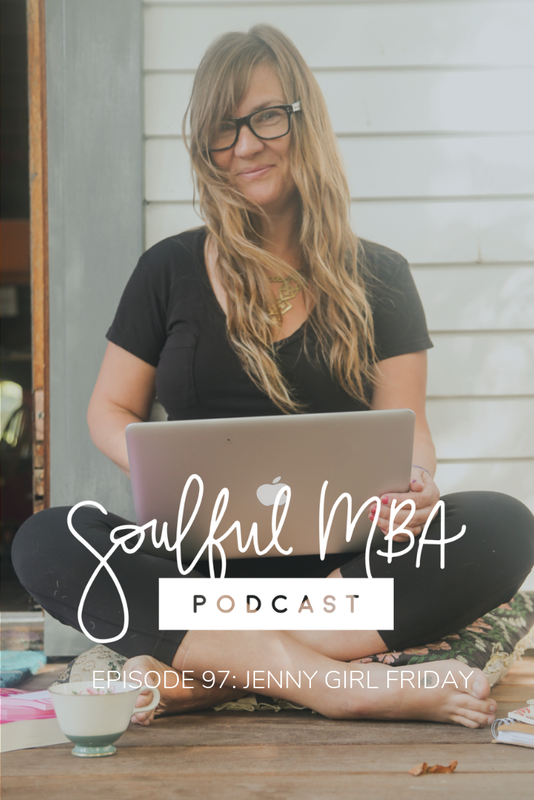 It’s called Soulful MBA Podcast, hosted by Jeni Barcelos and Sandy Connery. A truly dynamic duo, helping healers and wellness professionals develop thriving online businesses. Read more at: soulful.mba. Ever feeling like license + tax stuff is super confusing? You’re not alone! In this episode, we get real about the challenges of following tax + license deadlines (and even get to complain a little bit.) I share some strategies + tips, as well as my origin story and the deal I made with my husband. Go - Do your work + Set up Shop! Section 1 is crafted exactly for Seattle. If you live in a different city, you can use the info to help you investigate what you need in your home town. Sections 2 + Go work anywhere!!! Get started quickly, build momentum, and lay in some useful and helpful habits from the beginning. If you’re already on the list, email me at jennygirlfriday@gmail.com, and I’ll send it to you! However, I forgot to share that there is some help! Here are some strategies and resources. 1 - Many CPAs will help with local taxes! You just have to ask them. 2 - If you live in Seattle, here are my Go-To CPAs. They already include local taxes in their offerings. Luke at TimberTax.co and Alexandra at HipsterMoney.com. They’re both super friendly and fun to work with and know their stuff! 3 - Sign up for my Sidekick Services. I send email reminders for meeting all local tax + license deadlines. If you live in a different city, use these reminders………as prompts to reach out to your city, county, and state to learn more. More to the story………..answers I forgot because I was nervous! After my husband’s first year off, we committed to both being self-employed—because we came to believe in it as a lifestyle, more nourishing to our souls, to be with our children more, and to just see if it could be done in Seattle! To that end, we built an Airbnb in our basement and emptied half our retirement. (Scary!!) Alex is a musician, and plays fiddle and calls square-dances. He might go back to Camper Vans, he’s also considering other creative work he wants to do. It has been quite a journey! We had to dig deep a lot, and only this year is it starting to get a little easier. Liz Lemon, maybe? I wanted to think of a Woman hero…….but they are far and few between. I mostly read non-fiction, and for TV/Movies, I mostly re-watch old favorites: 30 Rock, Parks+Rec, Grey's Anatomy, Lord of the Rings, Pride and Prejudice. I do LOVE the women characters in Black Panther! To my kids: Did you brush your teeth? To my clients and friends: If you had a magic wand……what would you do? Wanna get Sidekick Services? Click here for tax + license reminders, walk-throughs, motivational tips and more. Asking for an annual donation of $5 - $120. Tailored for Seattle, still super helpful in other cities. Looking for the Book? Click here to find on Amazon. Click here to find in local stores. ♥ ♥ ♥ Thanks for tuning in! I hope to meet you one day….whether in person or in email. And would love to be your Sidekick. ♥ ♥ ♥I think Self-Employed women add vibrancy to our communities and are a gift to the world. You are my hero! *Crafted for women, open to every body.